8mm - 17" 4mm - 17" 6mm - 18"
It's a jewelry staple. No girl can have too many chains. 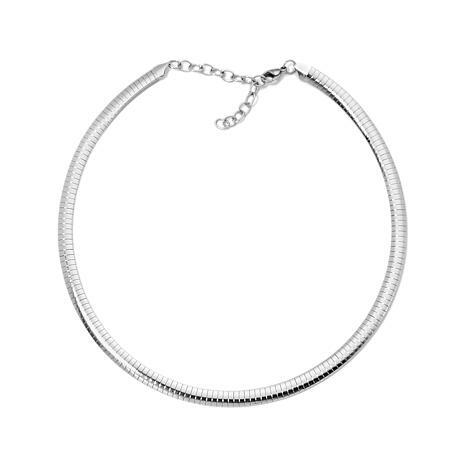 Crafted out of stainless steel, this necklace features a contemporary, bold omega-link look. 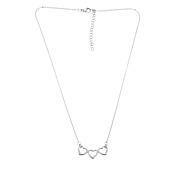 Layer it with different colored necklaces for a mixed-metal shine that's so hot, it will light up every season. Got 2 different sizes of this chain to go with pendants that I have on silver chains. I'm tired of having to deal with a tarnished silver chain all the time so I decided to go with this polished stainless instead. Looks just as nice as silver with my silver pendants. Love the style and the different sizes. The finish on this jewelry looks so high end. If I didn't tell friends that it was stainless steel they would think I paid well over $100. I'm not one to change my jewelry often but I now have several stainless steel pieces and enjoy changing them out often. Love this! Looks so nice on, whether on a bare neck, or now around my t-neck. Can adjust it to where I need it, and the shine is quite nice! Big and beautiful. Looks very expensive. I will order the thinner one as well. Sophisticated and chic. Stately Steel’s versatile assortment of stainless steel jewelry is durable, so you can enjoy these stunning pieces for years to come. With bold, contemporary designs, Stately Steel gives you the look and feel of luxury at an affordable price. Remind me about Stately Steel upcoming shows. 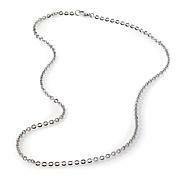 Michael Anthony Jewelry 2mm 18" Stainless Steel Rope Chain Delicate-looking yet sturdy enough for favorite pendants, this stainless steel rope chain won't spend much time in your jewelry box. 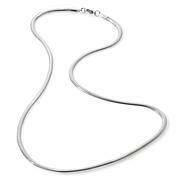 It has the sophisticated look of sterling silver at a fraction of the cost. So why not treat yourself today?